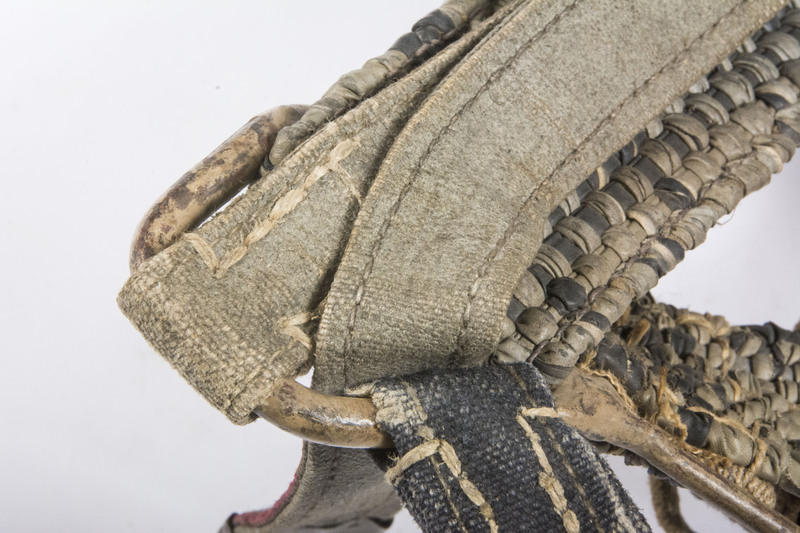 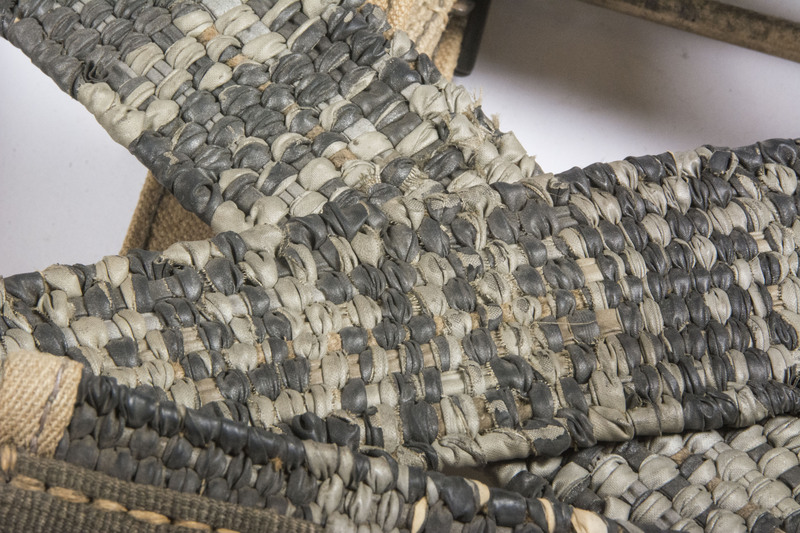 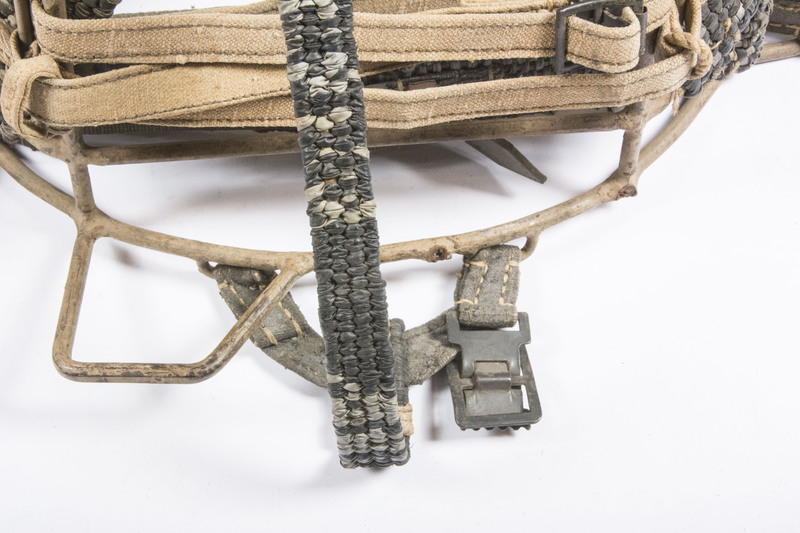 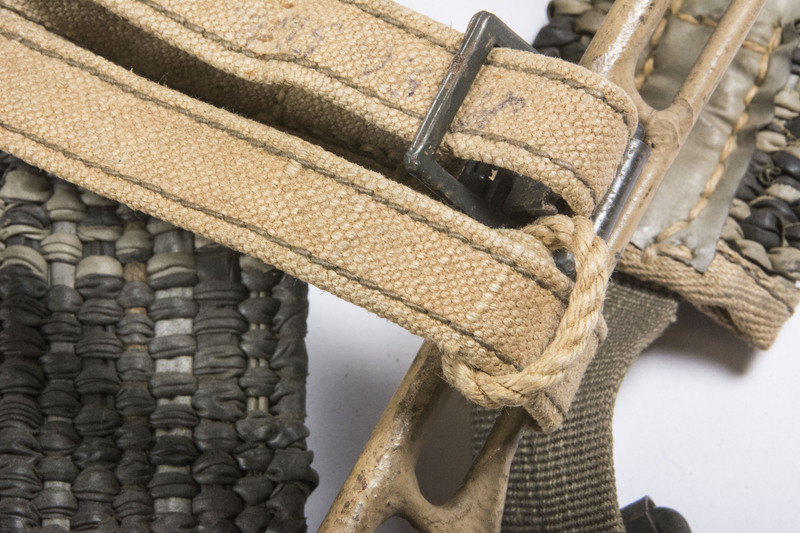 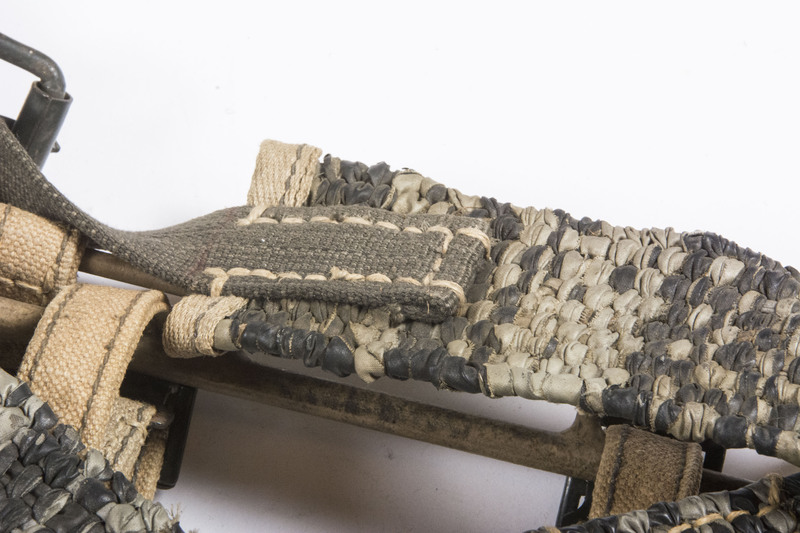 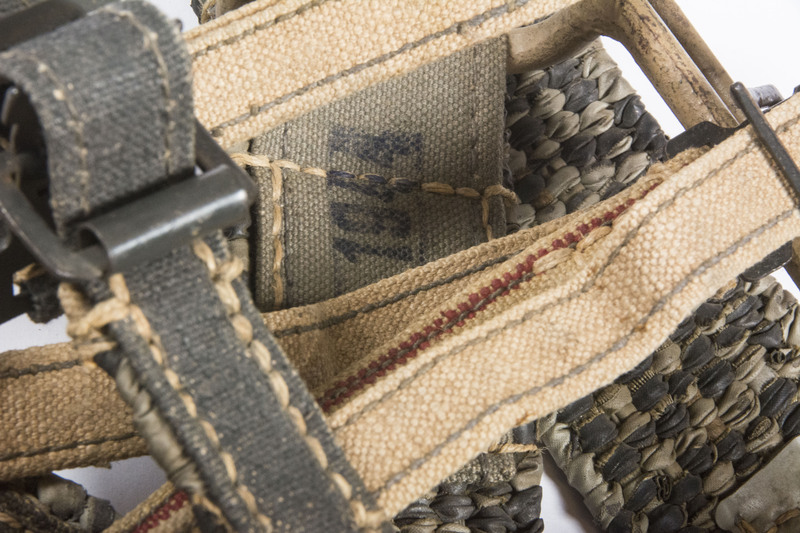 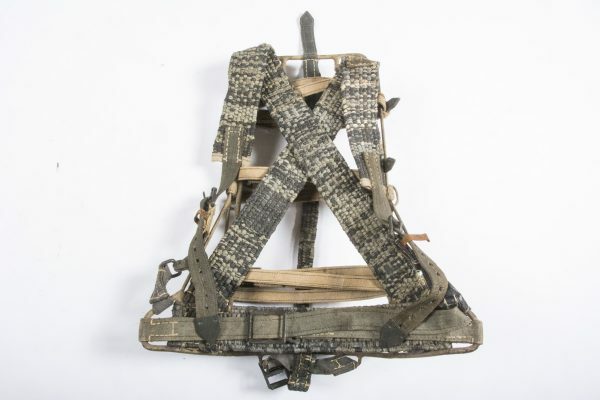 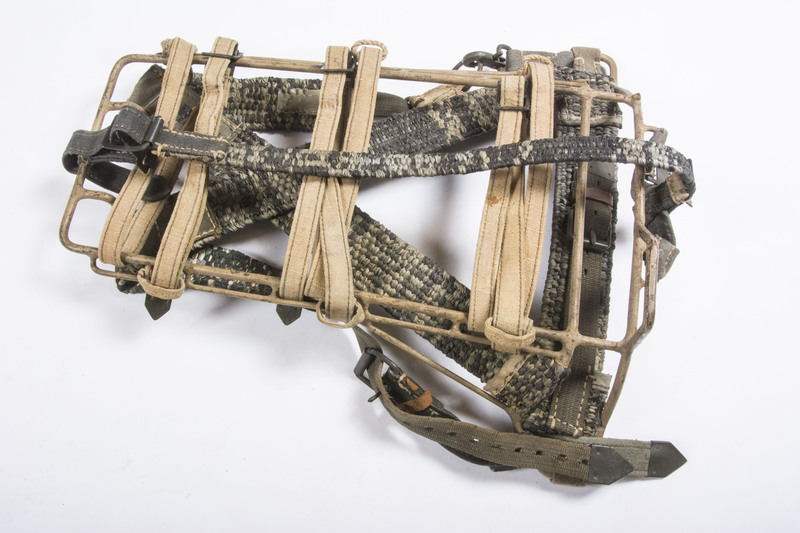 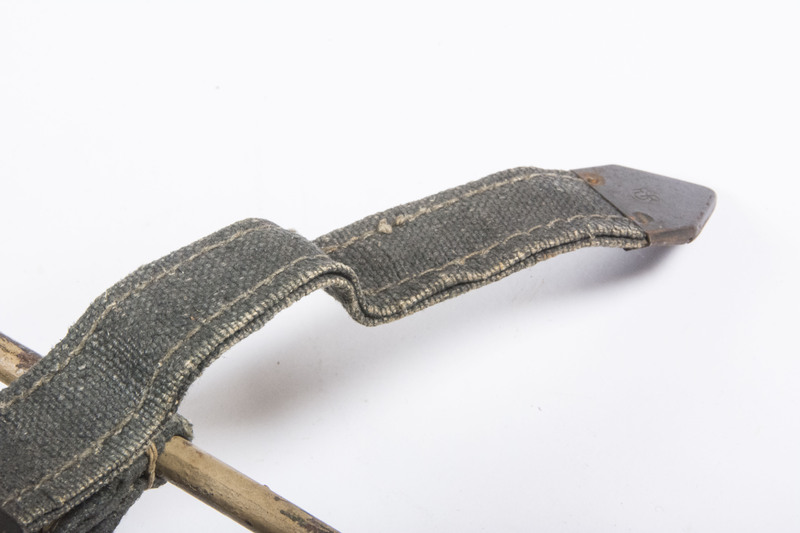 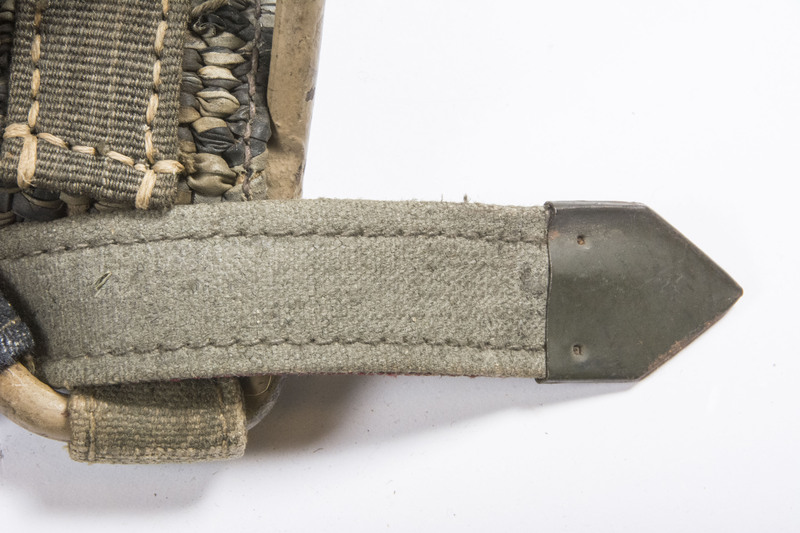 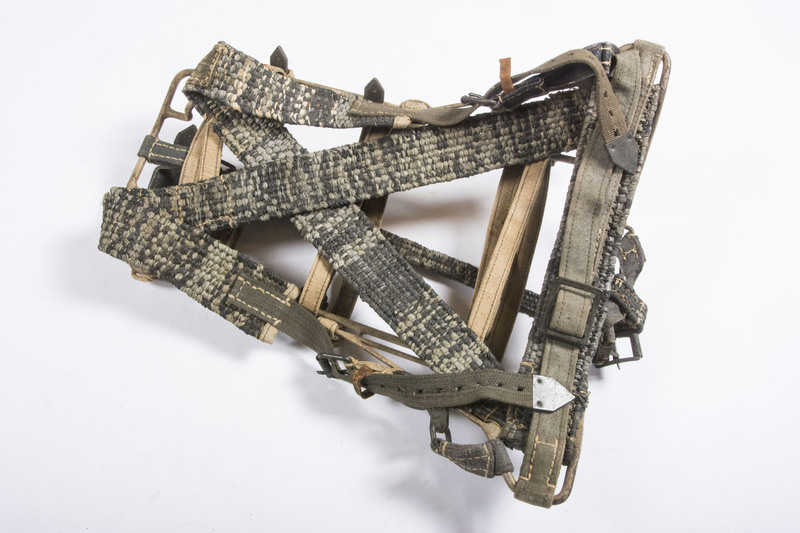 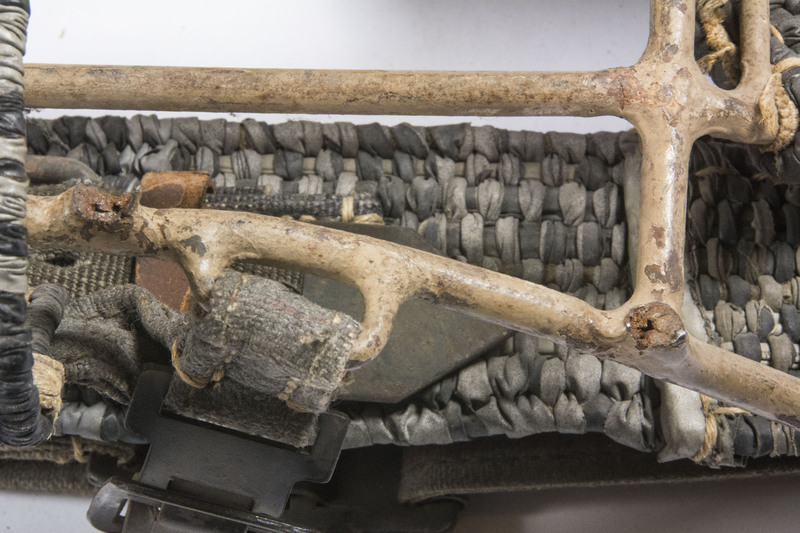 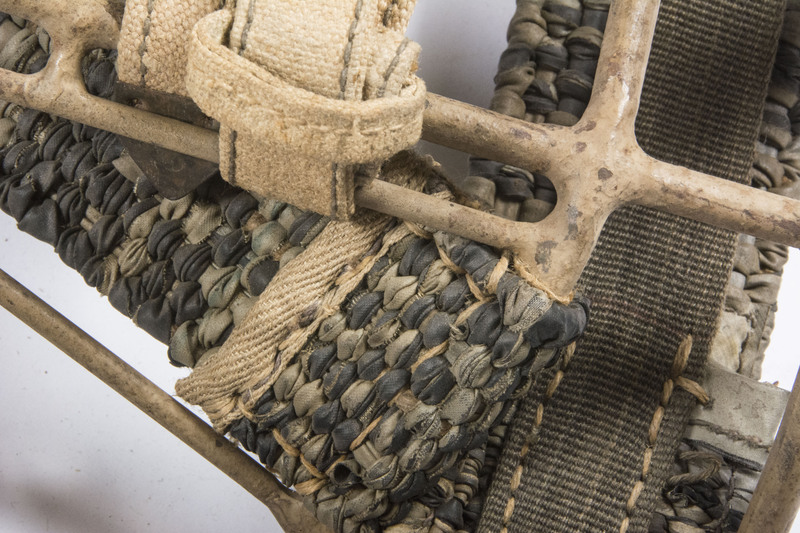 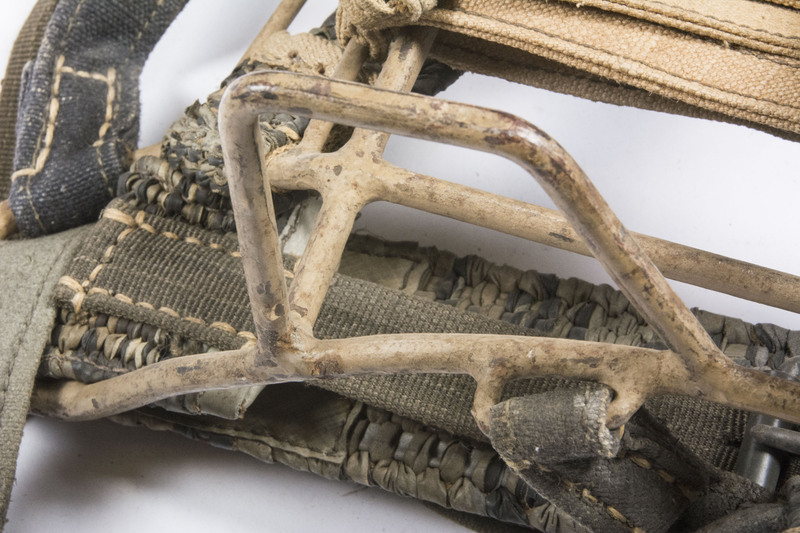 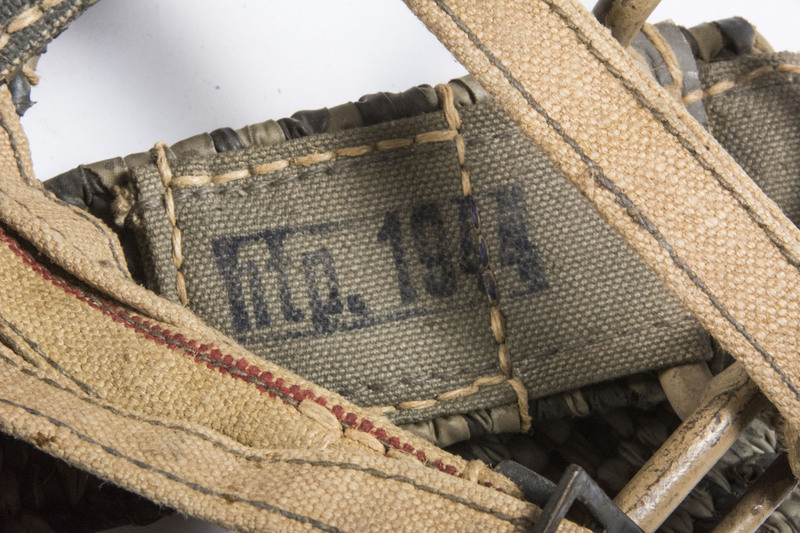 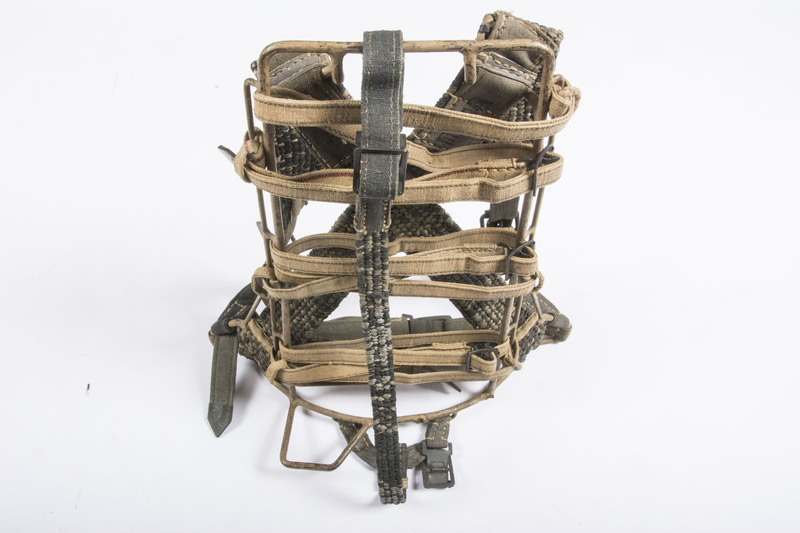 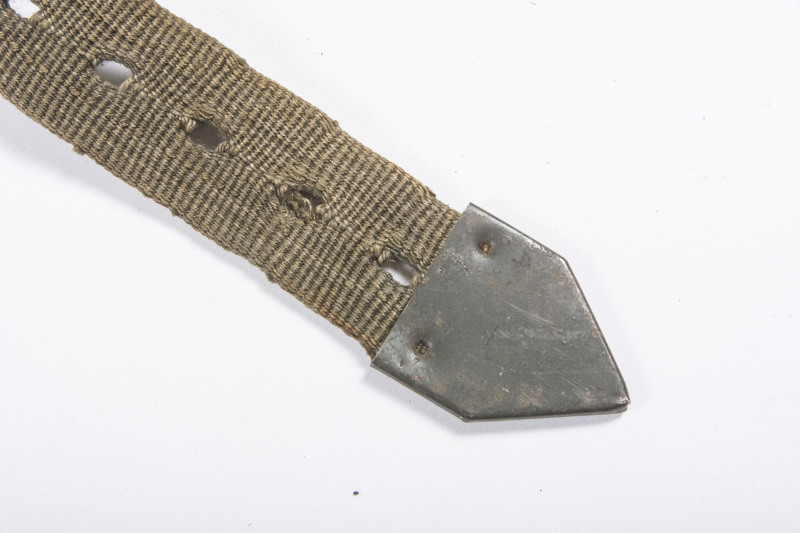 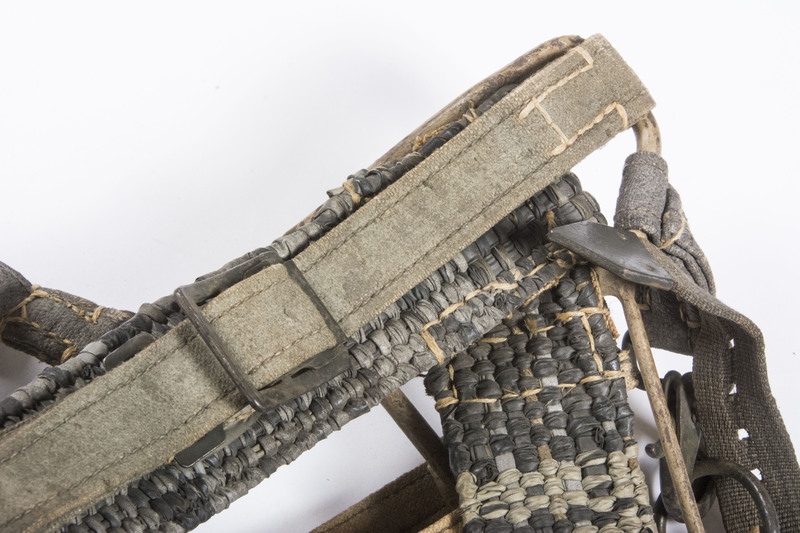 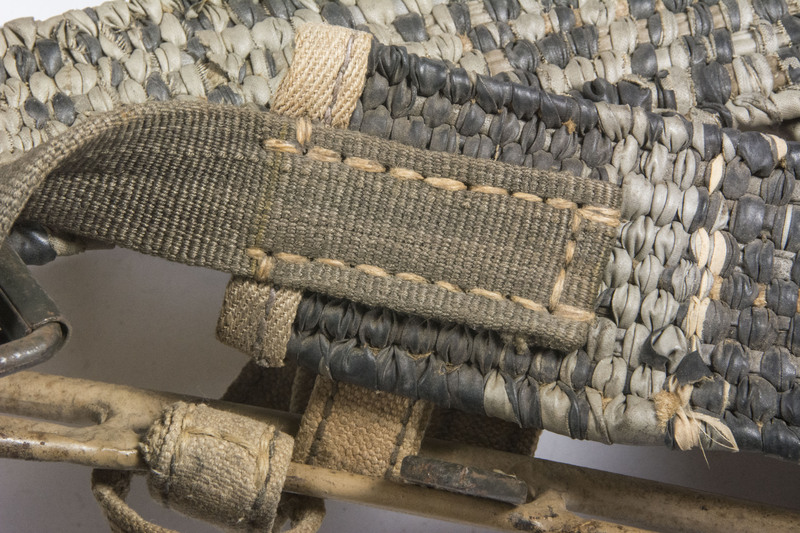 Late war Tragegestell 43 ammunition carrying frame with late war Ersatz woven rubber straps. 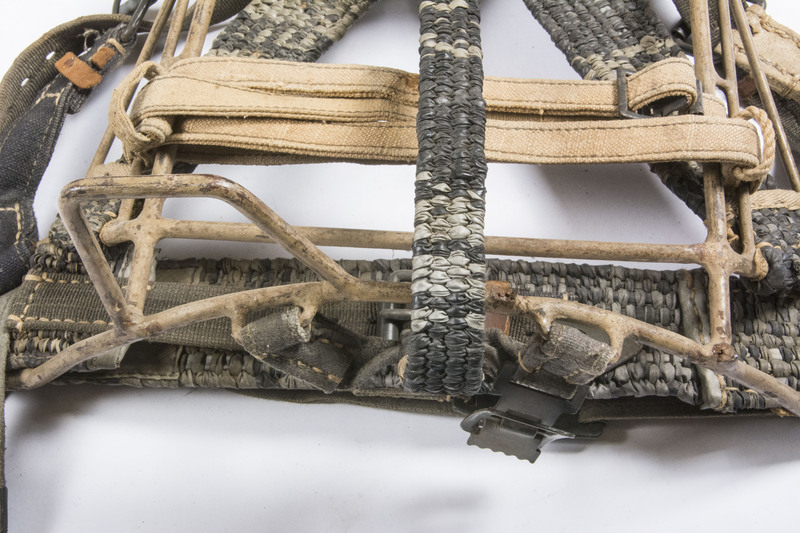 The rack is complete with all(!) 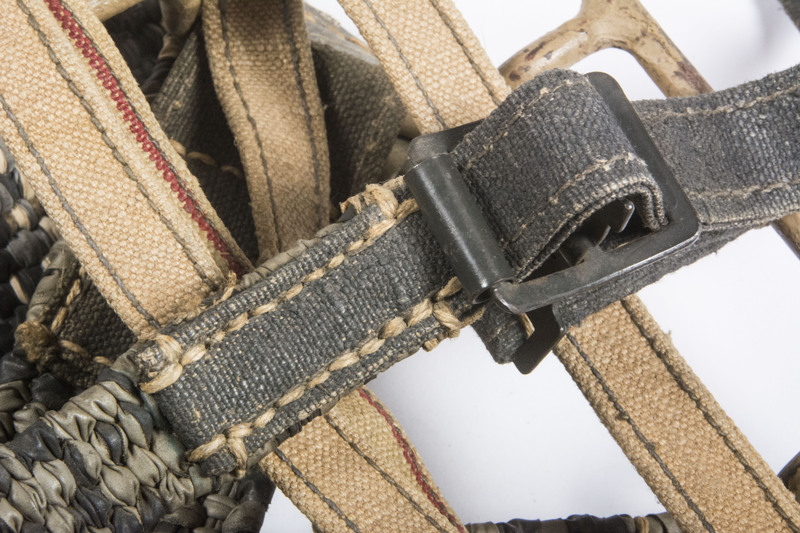 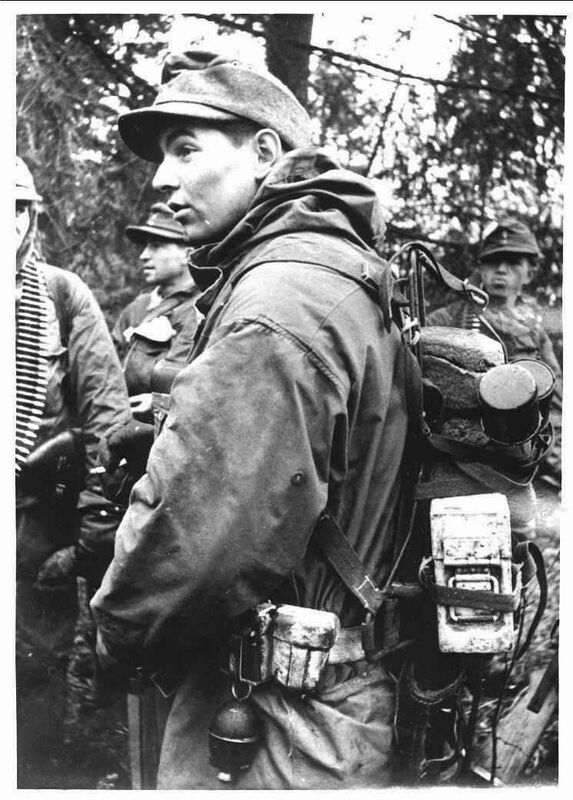 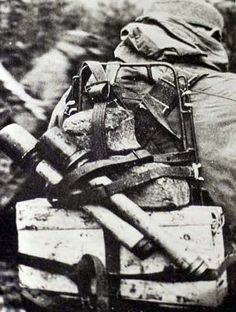 of its straps and buckles. 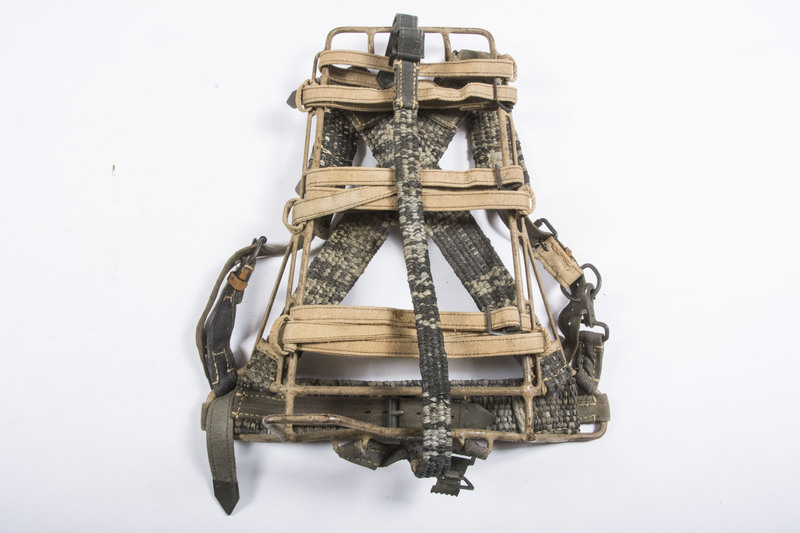 The rack is in very good unissued condition but has one missing bar on the bottom. 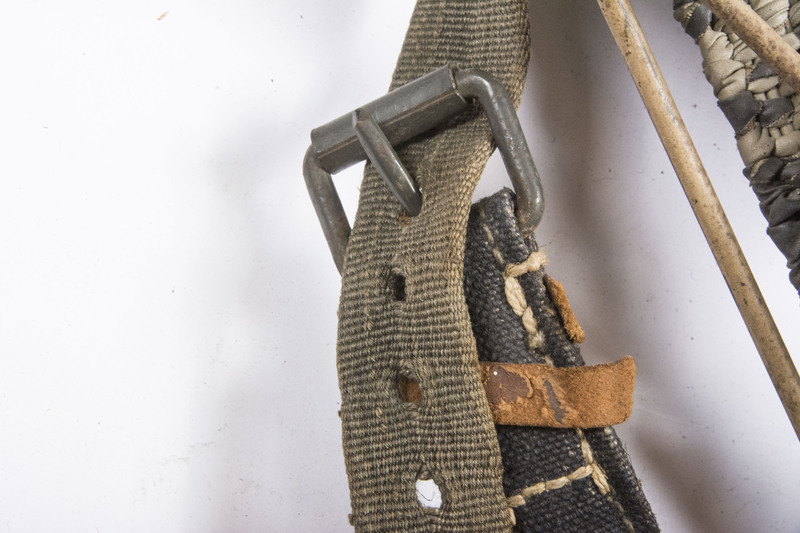 This however does not detract from the usability of the frame. 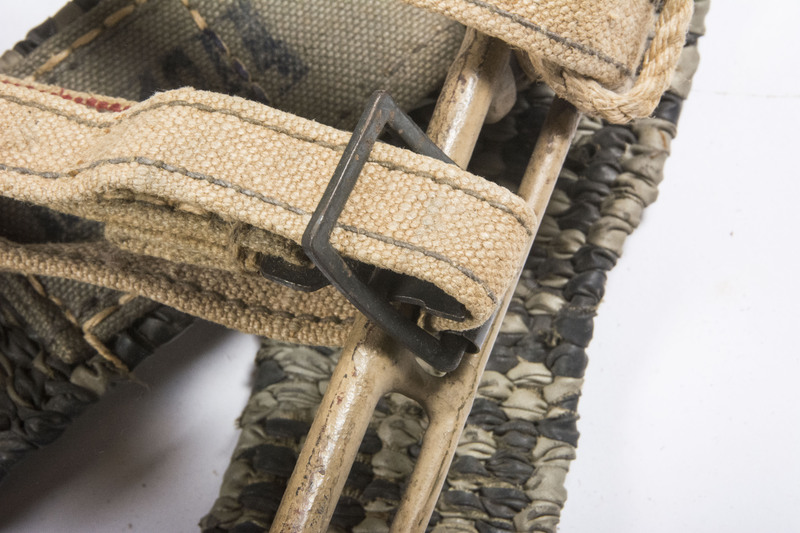 Three cans can easily be strapped to the frame. 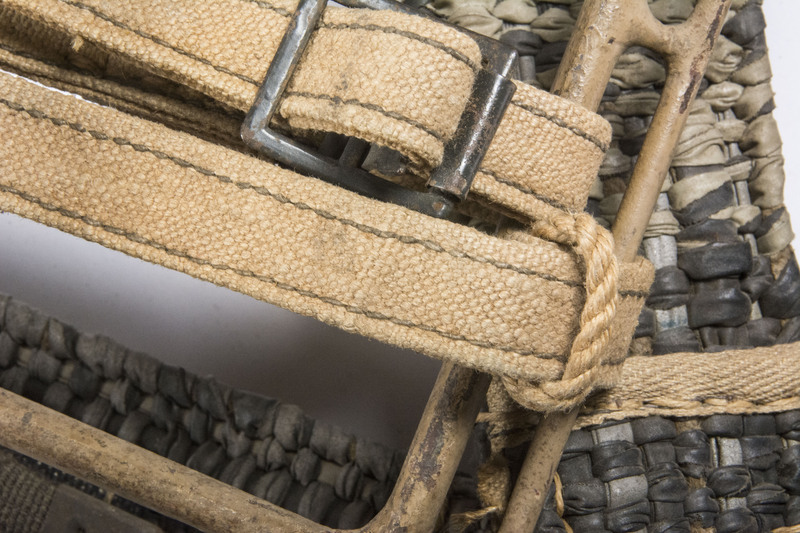 A very nice and minty late war Tragegestell with the typical and rare rubber carrying straps!